A CG image of the Power-Generating FloorTM. A Japanese startup company called Soundpower Corporation is tapping into a new energy source, generating both electricity and hope that it could contribute to the battle against global warming. The company's flagship product, the revolutionary Power-Generating FloorTM, works by converting physical pressure into electricity and has a wide range of potential applications. Part of the appeal of this device is that it emits no greenhouse gases or other pollutants. Pressure PowerThe Power-Generating FloorTM consists of tiles that convert vibrations caused by people or automobiles passing overhead into electricity. Within each roughly 50-centimeter-square tile is a crystalline substance called a piezoelectric element. When outside pressure is placed on these elements, electrical polarization occurs and generates an electric potential in proportion to the amount of force applied. Since the devices draw their energy from plain physical force, they produce no harmful byproducts like carbon dioxide or other greenhouse gases. And unlike fossil fuels, there is no need to worry about supplies running out. While output varies depending on the number of tiles, a step by a person weighing 60 kilograms normally generates 0.1 Watt of power. 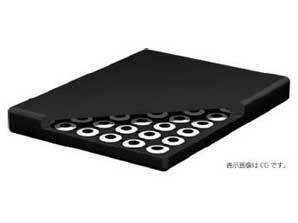 Soundpower began testing its Power-Generating FloorTM in 2008, and in July of that year, corporate office design company Kokuyo Office System Co. had Power-Generating FloorTM tiles installed in its headquarters. The electricity generated from foot traffic causes green LED lights embedded in the tiles to switch on and illuminate the walkway. 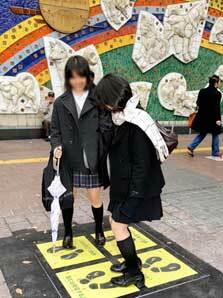 Power-Generating FloorTM tiles being tested at Shibuya Station. In April 2009, a similar system was installed in the entrance to the Fujisawa City Hall in Kanagawa Prefecture. 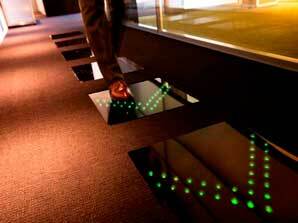 As people enter and exit the building, they tread upon Power-Generating Floor™ tiles and the amount of electricity generated is shown on an electronic display. By incorporating this next-generation power source into a major public facility, the city has seized an opportunity to raise environmental consciousness among its residents. Soundpower has conducted a variety of research on the use of its power-generating tiles. In December of 2008, for example, it tested the tiles at Shibuya Station in Tokyo, one of the busiest train stations in the country. Good VibrationsCompany President Hayamizu Kohei established Soundpower in 2006 while still in graduate school. When he learned as a child that speakers transform electricity into sound, he reasoned that there should be a way to do the opposite and turn sound into a source of electrical power. When he became older Hayamizu focused on realizing his vision by pursuing postgraduate research. It was when his research began to bear fruit that he decided to establish his own company, with support from his university and other sources. In addition to its Power-Generating FloorsTM, there are two other pillars to the company's operations: sound power and vibration power. Sound-power generation is a means by which the energy from speech and noise vibrations is turned into electricity. Soundpower is now at work developing various applications for this technology, including mobile phones that can be charged during conversations and sound-insulating walls that generate electricity from the sound of passing cars. This latter development would have the added benefit of reducing noise levels near roads by absorbing vehicles' sound energy. Vibration-power generation involves turning the vibrational energy of pedestrians, bicycles, and automobiles into electricity. 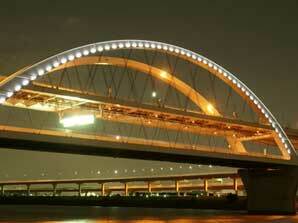 Ten vibration-power generators have been installed on the Goshiki-zakura Ohashi Bridge on the Tokyo Metropolitan Expressway, each containing a piezoelectric device fitted with a pendulum. Vibrations from passing vehicles cause the pendulums to swing, creating electricity that helps power the bridge's lights after dark.